Red cabbage is the ultimate German side dish for autumnal and wintery roasts and should never be missed at Christmas dinner. But only playing the supporting role as side dish is clearly underutilizing this vegetable—it can do a lot more and should play the leading role in your next meal. What’s your favorite recipe with red cabbage? Tell us in the comments, and upload a picture of your creations for all to enjoy! Although it originates in the Mediterranean area and Asian Turkey, red cabbage is most popular nowadays in Northern and Eastern Europe. You may know red cabbage also by the name of purple cabbage or blue kraut. And depending on its cultivation and preparation, you can actually see differences in its color. Sweet ingredients turn the cabbage blue-violet, while acidic ingredients turn it more reddish. The reason for this are natural dye stuffs called anthocynanis that react when acid is added. Fresh red cabbage can be bought year-round since even early varieties get harvested in June. Still, its main season starts in autumn. From September to November the most stable cabbage is harvested, which gets stored and is therefore available until summer. The outer leaves of red cabbage should be crisp and firm. 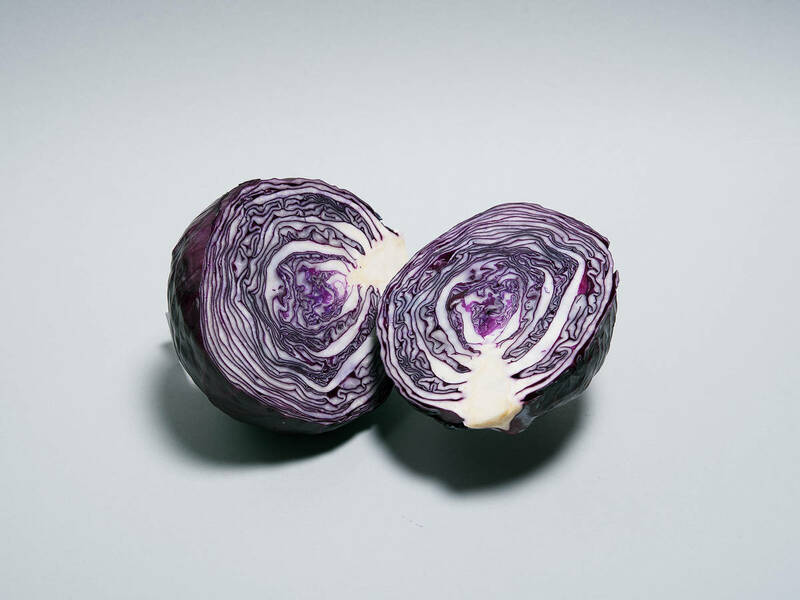 Don’t worry—light spots on its surface are actually not a sign of poor quality, but are typical for red cabbage. If you only find examples sold without any outer leaves, gently press the cabbage. If the vegetable feels firm, it’s good to buy! Start by removing the thick outer leaves and the ones that are no longer fresh. Halve or quarter the cabbage, then rinse and drain it. Using a large knife, remove the thick stalk and leaf-veins. Now you can slice the red cabbage. If you add some lime juice or a small diced apple when cooking or braising the vegetable, the acid will intensify its red color. Some sensitive people might not stomach red cabbage well. If this is the case with you, it’s better not to eat it raw but only cooked. Seasoning it with spices like caraway or ginger also help to better digest it. Red cabbage is best stored in the vegetable compartment in your fridge for up to 14 days. Once you’ve cut it, make sure to cover it in plastic wrap.